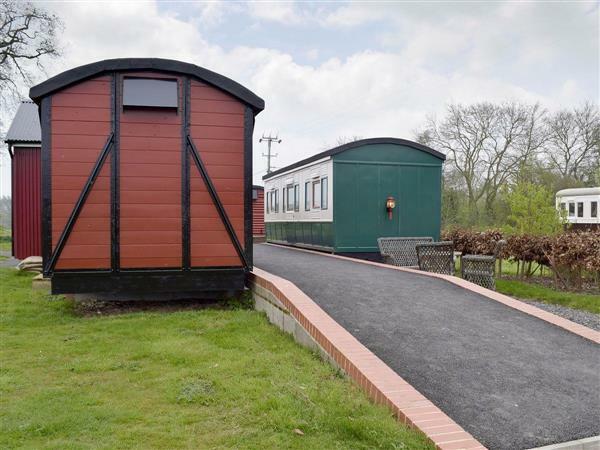 Wilby Halt in Brockford, near Stowmarket sleeps 5 people. 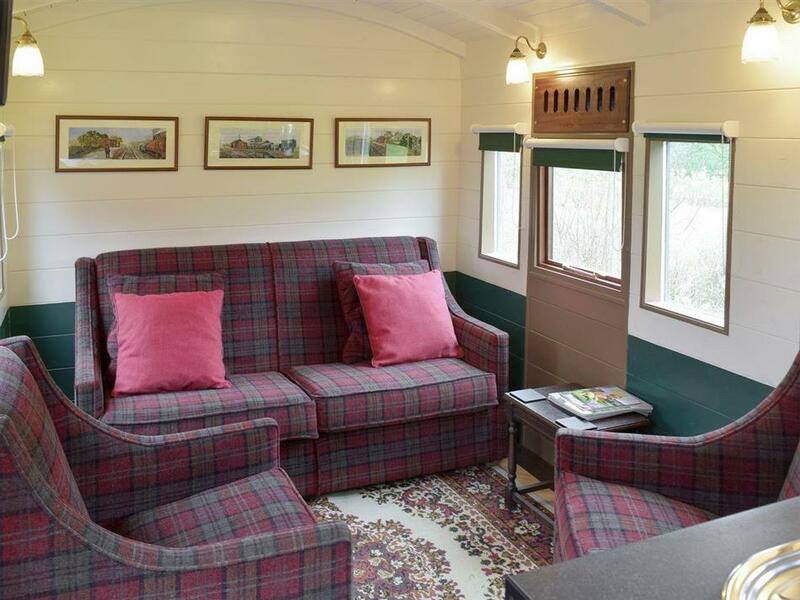 Wilby Halt near Stowmarket is an unusual property which is split over two restored railway carriages. Linked by a railway platform, the first carriage houses the living space including kitchen and comfortable living room. The second carriage is the sleeping carriage where you will find the double bedroom and further room with bunk bed and single bed. This really is a unique experience and perfect for families. The property boasts great views across the countryside and is surrounded by country lanes and farmland, making it an ideal location for those who enjoy cycling, walking or relaxing and getting away from it all. It is centrally located, so it is also a great destination for those who want to sample what Suffolk has to offer. The owner’s own indoor swimming pool (8.5m x 4.3m, depth 0.9m to 1.8m) is ½ mile away and is available to use. It is open all year, heated May-Sep and with private use by arrangement; there is also a shared hot tub. Local amenities can be found in the pretty village of Debenham only 4 miles away which also has a leisure centre. The beautiful village of Mendlesham, 1½ miles, has a pub, post office, local store and bakery. It is within a short walk of the Mid Suffolk Railway Museum, with steam trains at weekends in summer. The shop and restaurant are 4 miles, with the pub 1½ miles from Wilby Halt near Stowmarket. Refs E5336 [The Station], E5337 [Railway Carriage One], E5601 [Railway Carriage Two] and E5639 [The Guards Van] are on the same site. Wilby Halt near Stowmarket is all on the ground floor. Living area: With 28 Freeview TV and DVD player. Bedroom 2: With bunk bed and single bed. Electric convector heaters, electricity, bed linen and towels included. Welcome pack. Lawned garden with patio and garden furniture. Shared 1-acre natural grounds. Private parking for 2 cars. No smoking. Holidays at Wilby Halt run from Saturday to Saturday. For a better idea of where Wilby Halt is, you can see Wilby Halt on the map below. Wilby Halt is in Suffolk; should you be on the lookout for a special offer, you can find all the special offers in Suffolk. It's always worth checking to see what is on offer at the moment. Do you want to holiday near Wilby Halt (UKC712), you can see other cottages within 25 miles of Wilby Halt; have a look to find your perfect holiday location.